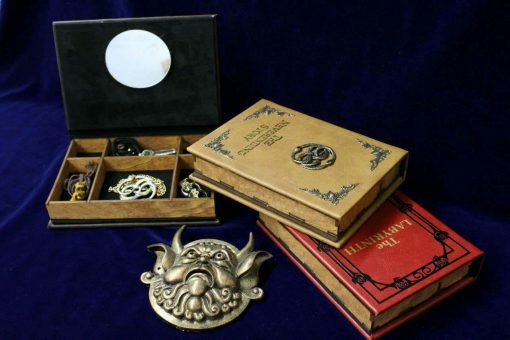 Whether you’re pulling Artax through the Swamp of Sadness, making wishes on your Auryn, stealing books from crotchety bookstore owners, or chasing bullies into dumpsters, this is just the thing to keep your jewelry and crests of the Empress safe on your never ending adventures. 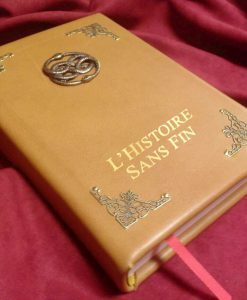 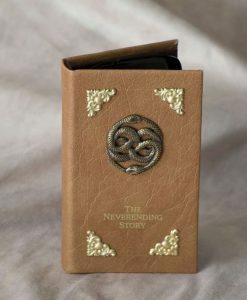 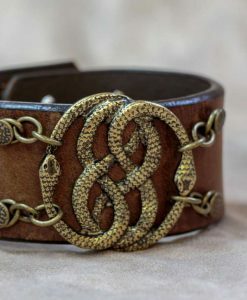 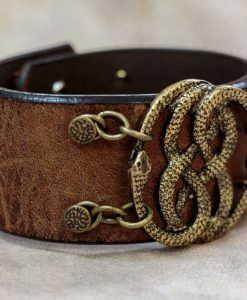 Whether you’re pulling Artax through the Swamp of Sadness, paying homage to that special Childlike Empress in your life, making wishes on your Auryn, stealing books from crotchety bookstore owners, or chasing bullies into dumpsters, this is just the thing to keep your jewelry and crests of the Empress safe on your never ending adventures. 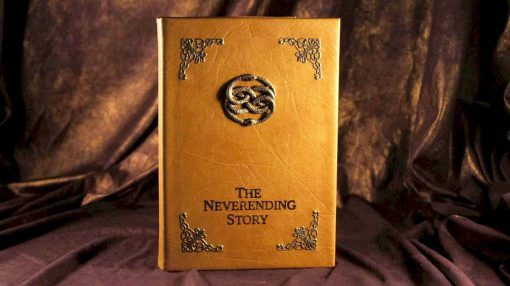 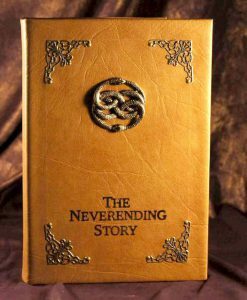 Inspired by The Neverending Story, this handcrafted box is approved by Moon Child approved, field tested by Atreyu, and delivered by Falcor. 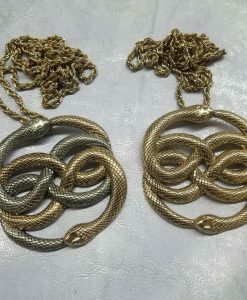 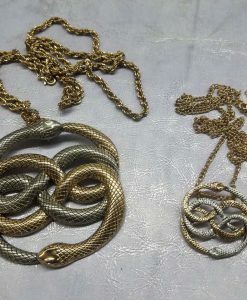 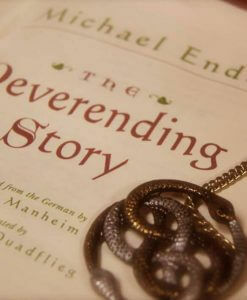 Keep your Auryn safe and sound inside! 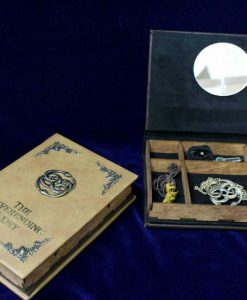 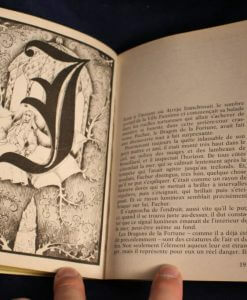 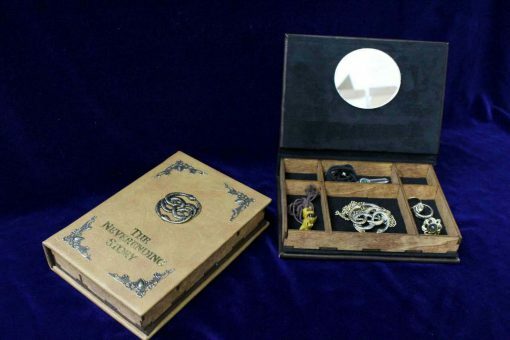 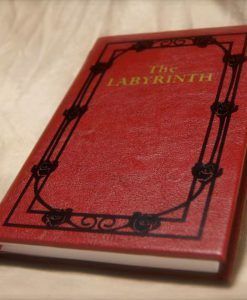 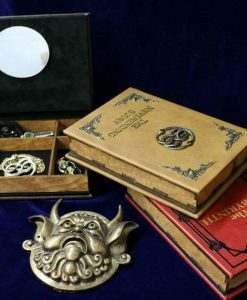 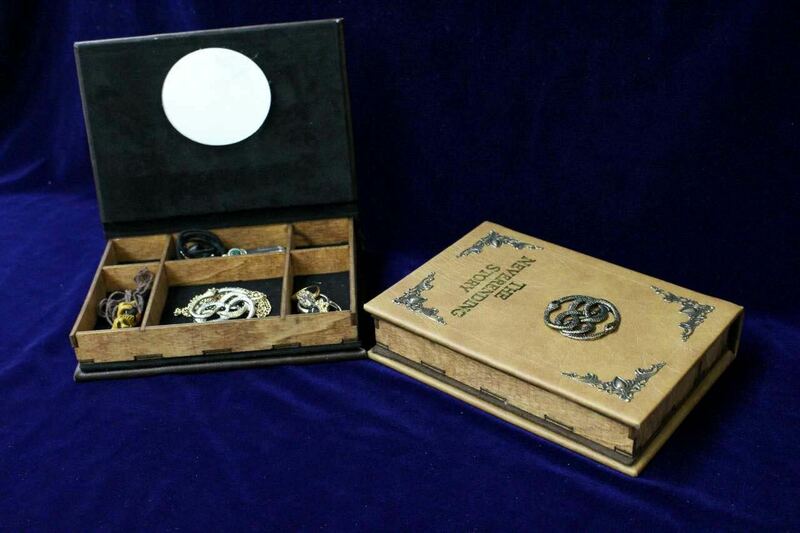 Measuring approximately 5 x 7 inches, (also available as an 8 x 10″ option for $12 more) each jewelry box is handcrafted to look like legendary book replicas from all manner of games, shows, and movies, such as The Labyrinth, The Neverending Story, the Necronomicon, the Charmed Book of Shadows, Deathnote, Gravity Falls, Lord of the Rings, Once Upon A Time, and countless others. 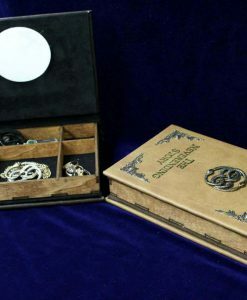 The insides are lines with velvet and have five compartments – perfect for your jewelry, earrings, bangles, bracelets, and personal items, and a small mirror completes the inside.